Design and construction of lighting fixtures. 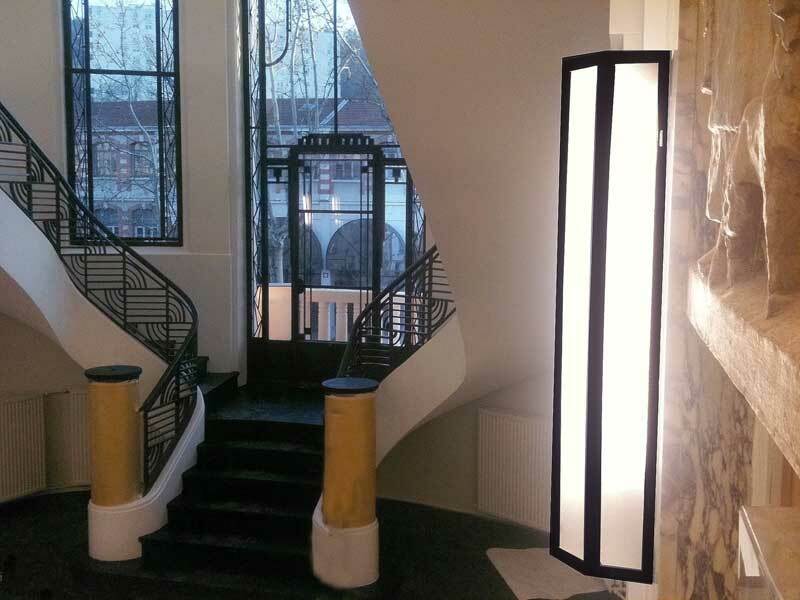 "Last challenge to date, the renovation of « l’Hôtel Hatier de Saint Etienne also saysl’Hôtel Subit-Gouyon », the name of the two architects of this remarkable building built in the second quarter of the twentieth century. Long abandoned or partially renovated, it is the pride of the streets of Richandelière and Trois-Jaley. 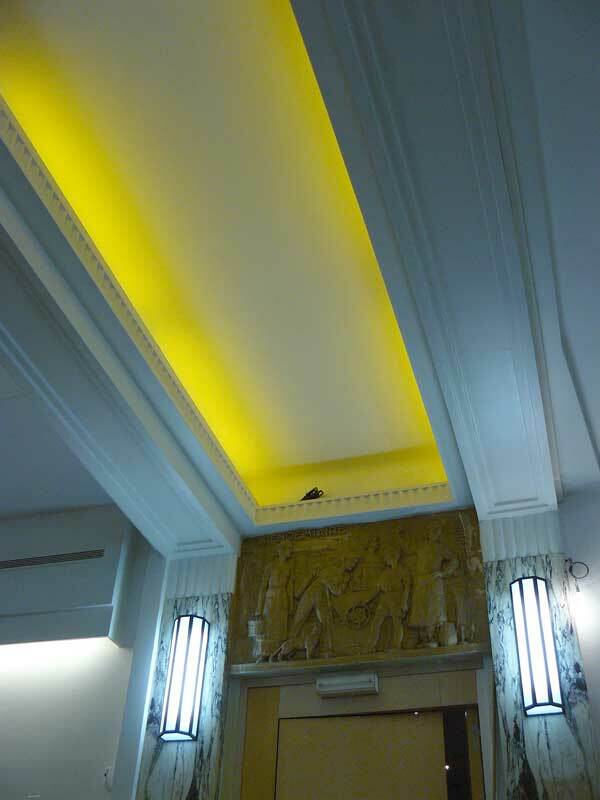 If the apartments have been redesigned, the original decor, art-deco style, the hall is also fortunately well preserved for this building for events nowadays, this since its reopening in the first half of 2012. Note even a bas-relief on the pediment, signed by the sculptorJoanny Durand. Still, the original lighting has disappeared for a long time and it was therefore necessary to restore the whole luster of yesteryear without error of appreciation." Philippe JAYET for "les Affiches Lyonnaises"